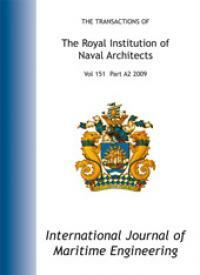 The Royal Institution of Naval Architects enjoys an outstanding reputation for the quality and range of its technical publications covering a broad range of experience and opinion on research, development and operation of all aspects of naval architecture and maritime technology. 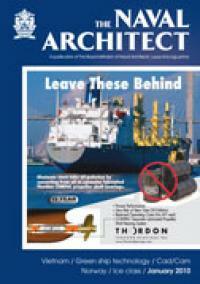 10 issues per year, providing independent, high quality technical and the latest trends in design and technology, principally covering ships above 100m in length, with reports on the design, construction and equipping of new commercial vessels.Subscription includes Warship Technology and Offshore Marine Technology. Digital subscriptions include access to archives back to 2004. 6 issues per year, providing detailed news of small craft and small ship design, construction and operation, together with specialised features and technical descriptions of selected new vessels. 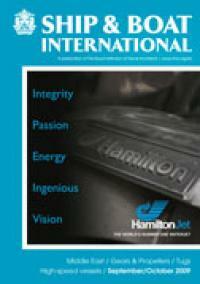 Quarterly issues providing in depth coverage of all aspects of ship repair and conversion work. 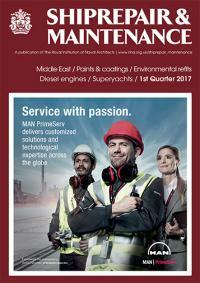 This magazine changed its name in January 2017 and was formerly titled Shiprepair & Conversion Technology. The International Journal of Maritine Engineering (IJME) published four times a year as Part A of the Transactions, provides a forum for the reporting and discussion on technical and scientific issues associated with the design and construction of marine vessels and offshore structures. The International Journal of Small Craft Technology (IJSCT) published twice a year as Part B of the Transactions, provides a forum for the reporting and discussion on technical and scientific issues associated with research and development of recreational and commercial small craft. To arrange to pay by bank transfer or cheque please print and return the IJME & IJSCT subscription order form (PDF file) by fax or post to the address shown on the form. Back issues of IJME and IJSCT may be ordered from the Price £19 per issue for RINA members and £26 for non-members.